Happy Monday! Do you find it difficult to eat vegetables for breakfast? I find it very difficult so for the next few weeks, I’m blending my breakfast into a smoothie to add more nutrients to my life. Today’s recipe is a combination of freshly made vegetable and fruit juice and blended fruit. You will NOT use a whole red cabbage for this breakfast recipe. The recipe below is not metabolic balance appropriate because of the two fruits but I will try the cabbage with carrots and see if that can replace the blueberries. At this point, the apple isn’t strong enough to mask the strong cabbage taste (for me). I found that I needed to add the blueberries to make the drink a breakfast of champions. Red Cabbage Abstract -Look how beautiful it is! After I added two fruits, the red cabbage morning smoothie was delicious. You are only allowed one fruit on the metabolic balance plan so either pick one fruit or reduce the amount of cabbage. You can reduce the amount of cabbage by adding a little bit at a time to the blender and then stopping before the drink becomes distasteful. Keep a spoon handy for tasting and maybe a bit of extra apple juice in case you go overboard with the cabbage. You will need a juicer. Place all vegetables into the juicer and juice them. My juicer gives me a great foam on top. Place the juice in a blender and add frozen blueberries. If you do not have blueberries on your plan, add another frozen dark berry or try juicing a sweet vegetable like carrots to stay on plan and add ice to thicken the drink. If you decide to use carrots please juice them or your juice drink will be crunchy. Once blended, serve the drink immediately to get all the nutritional value of your breakfast. Place all finely chopped ingredients into your blender with the water or ice cubes and water. Blend until smooth and then drink it immediately with a serving of rye bread and a protein. 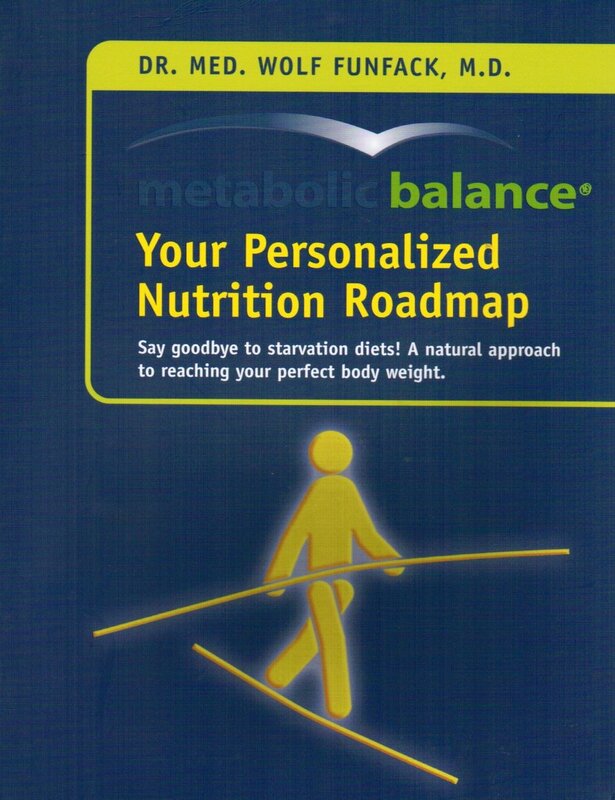 FYI: I’m currently reading Dr. Funfack’s book “metabolic balance – Your Personalised Nutrition Roadmap. If you don’t have a copy, you can purchase it in our metabolic balance US Amazon Store. Posted on September 12, 2016 by Emmy HorstkampPosted in easy recipe, Juicing, metabolic balance, metabolic balance recipeTagged cleanmetabolic, detox, metabolic balance, metabolicbalance, red cabbage juice, red cabbage smoothie.